. 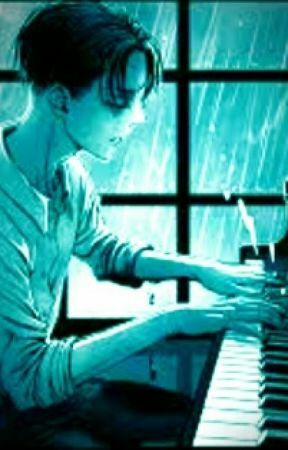 Never Forget [ Levi x Reader ] .
. Chapter 1 - plan... failed?! .
. Chapter 2 - You said you wouldn't! .
. [ edited ] chapter 3- my eyes wont open .
. Chapter 4 - Errands..? .
. Chapter 5 - Errands..? [part 2] .
. Chapter 6 - Errands...? [part 3] .
. Chapter 7- Seeing the past .
. Chapter 8 - Drops .
. Chapter 9 - Welcome .
. Chapter 10- Experiments and Explanations .
. Chapter 11- Experiments and Explanations Part 2 .
. Chapter 12- Training with Hechiou .
. Chapter 13 - Beautiful music .
. Chapter 14 - W-who came back? .
. Regarding new chapters . "Well we already have Eren so.."
When I shifted my head to look at her eyes my head began to pound. Our eyes locked and I instantly squeezed my eyes shut reacting to the pain. When I opened them again time seemed to stop. Everything was frozen I was the only thing moving. &apos;What the hell happened&apos; I flinched realizing how close (Y/n)&apos;s eyes were to mine. My eyes locked to hers. They were staring into my soul. Black bottomless holes In her skull, except there had grey and red outlines. There seemed to be a pattern, but I couldn&apos;t tell what It was because when I looked too closely my head began to hurt again this time worse. &apos;Ugh&apos; I groaned and then suddenly the pain began to fade slowly. I went to open my eyes but only found that when I tried they wouldn&apos;t open. They were stuck shut. "Forgetttttttttt" The titans raspy voice whispered. Wait... it looked just like (Y/n) just a little less human. The next vision was harder to make out than the others. The only thing I could clearly make out was myself. I was holding something. It was blurred and I couldn&apos;t really see but I strained my eyes to see If I could see, but all I could make out was that It looked like it was bleeding out. I screamed, shocked by what I just experienced. Instantly a hand went over my mouth, muffling my scream. It faded. The hand was (Y/n)&apos;s. She seemed In pain and she looked worried. While her hand was still over my mouth I glanced down at her wrist. There was a faded cut looking mark.. it said &apos;UMZ&apos; I cocked my eyebrow and gripped her wrist sitting up slowly. She tried to jerk her arm back, but my grip was tight around her wrist. I furrowed my eyebrows realizing what &apos;UMZ&apos; was, I noticed It on Faramonds wrist too and all the others (Y/n) was with.. "(Y/n)..." I breathed, she nodded her head towards me acknowledging me. "I saw... your group, the UMZ" I paused checking if I pained her bringing It up, I didn&apos;t.
"There&apos;s only Faramond and you, right?" She nodded "Well... I will join" (Y/n)&apos;s eyes grew wide.. and she began to speak softly and quietly "Do you have a dagger or something to cut with??" I pulled out a dagger that was tucked neatly away in my straps near my boots. 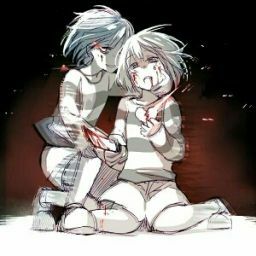 "Cut... UMZ into your wrist and then you will be apart of the n-now small group" she whispered choking on her emtions, trying to keep them all In and hidden. I did as she said and as I finished I put my dagger back to where I had retrieved it from and slowly looked up at her, she was smiling softly while staring at my wrist where I had cut the letters. &apos;God she&apos;s so beautiful&apos; I thought to myself, my breath hitching while closely looking at her. I didn&apos;t even try to stop my feelings or my thoughts.